This small region of Italy is quite mountainous overall and towns tend to be located on the inclinations of these high hills or mountains. Therefore when you look at the map villages look like they are near each another, but in reality it may take some time to get from one to another. 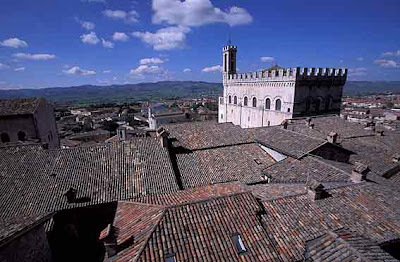 The best length of time to visit Umbria with calm is two weeks, however one week should be good enough to get an idea of the region. You will find people welcoming you in a region where hospitality is an important part of local customs. You should definitely visit Perugia which is the capital of Umbria. It is a delicious medieval center also including a large university and hosting one of the largest chocolate fairs in Europe, the Eurochocolate Festival. You should also visit Assisi, right where St. Francis was born and where the basil of Assisi constitutes one of the most important pilgrimage points, also featuring beautiful frescoes. Orvieto is a very characteristic town located on a large plateau which can be seen from afar, chosen by its inhabitants as a natural defense system. It is a very small town also famous for its Duomo. Spoleto is where the Festival of Two Worlds, with music and opera is run every year. In Narni you will discover the largest Roman bridge you can find. It is a delicious medieval village located in the southwest corner of Umbria. Foligno is the town where the first print of Dante's Divine comedy was made. You will find it towards the center of the region. Spello is also near the center of Umbria, and it's a hilly town with a very characteristic historic center with buildings originally from the 11th centuries, also including monuments from the first century BC. The Trasimeno Lake is the fourth largest lake in Italy and you can find it in the Northwest corner of Umbria. This is the seaside of Umbria, as the region is the only landlocked one in Italy.